Can be adjusted from a seated to a standing cocktail table. 36" Round Cocktail Table Rental. 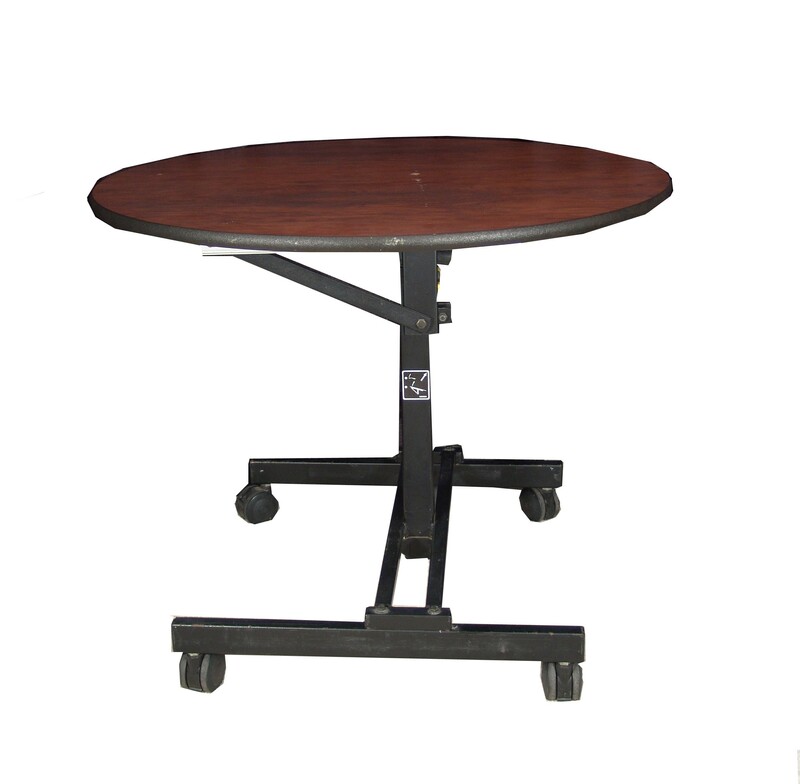 These tables have an adjustable height and can accommodate 4 people.